Learn about autism spectrum disorder, Autism Speaks, the organization dedicated to spreading awareness, and the founders of Autism Speaks. Autism Speaks is the world’s largest autism science and advocacy organization. It was founded in February 2005 by Suzanne and Bob Wright, the grandparents of a child with autism. The organization is dedicated to funding research into the causes, prevention, treatments and a cure for autism; increasing awareness of autism spectrum disorders; and advocating for the needs of individuals with autism and their families. Since its inception, Autism Speaks has made enormous strides, committing over $173 million to research and developing innovative new resources for families. In addition to funding research, Autism Speaks has created resources and programs including the Autism Speaks Autism Treatment Network, Autism Speaks’ Autism Genetic Resource Exchange and several other scientific and clinical programs. Notable awareness initiatives include the establishment of the annual United Nations-sanctioned World Autism Awareness Day on April 2, which Autism Speaks celebrates through its Light it Up Blue initiative. Also, Autism Speaks award-winning “Learn the Signs” campaign with the Ad Council has received over $300 million in donated media. Autism Speaks’ family resources include the Autism Video Glossary, a 100 Day Kit for newly-diagnosed families, a School Community Tool Kit, a Grandparent’s Guide to Autism, and a community grant program. Autism Speaks has played a critical role in securing federal legislation to advance the government’s response to autism, and has successfully advocated for insurance reform to cover behavioral treatments in 29 states thus far, with bills pending in an additional 10 states. Each year Walk Now for Autism Speaks events are held in more than 80 cities across North America. Autism spectrum disorder (ASD) and autism are both general terms for a group of complex disorders of brain development. These disorders are characterized, in varying degrees, by difficulties in social interaction, verbal and nonverbal communication and repetitive behaviors. ASD can be associated with intellectual disabilities, difficulties in motor coordination and attention and physical health issues such as sleep and gastrointestinal disturbances. 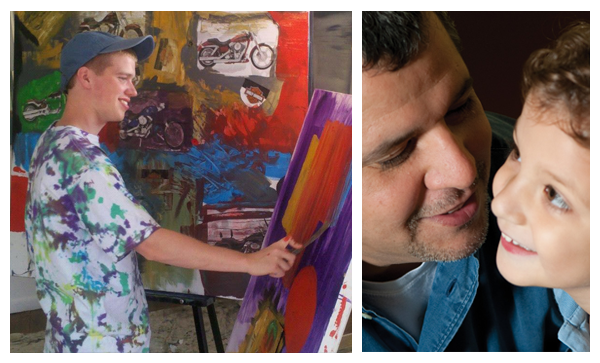 Some persons with ASD excel in visual skills, music, math and art. Autism appears to have its roots in very early brain development. However, the most obvious signs of autism and symptoms of autism tend to emerge between two and three years of age. Autism statistics from the CDC identify around one in 110 American children on the autism spectrum — a 600 percent increase in prevalence over the past two decades. More children will be diagnosed with autism this year than with childhood cancer, juvenile diabetes and pediatric AIDS combined. ASD affects an estimated three million individuals in the U.S. and tens of millions worldwide.